There has been regional media coverage of the 30th UK National Wildlife Crime Enforcers’ conference and awards in Yorkshire at the weekend, including in the North Wales Chronicle. 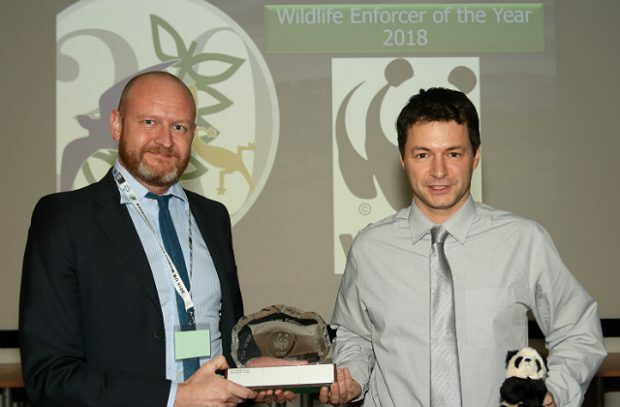 The awards, sponsored by WWF, commend the law enforcers who have made significant contributions in the field of wildlife crime, and helped to tackle issues such as the illegal ivory trade, raptor persecution and badger baiting. PC Dewi Evans, a member of the Police Rural Crime Team, received the ‘Wildlife Enforcer of the Year’ award in recognition of his success in tackling wildlife crime throughout North Wales. I am so honoured to receive this national recognition for my rural work and of course I also accept it on behalf of the excellent rural team that I work with on a daily basis. Wildlife crime investigation is so different to any other police investigation and you often have to think outside the box to achieve success, but I am passionate about my job and I look forward to going to work. PC Emerson Buckingham of Derbyshire Police was runner-up in this award and recognised for his work in an ongoing illegal wildlife trade case, which resulted in around 800 pieces of ivory being seized. PC Buckingham was also involved in intelligence gathering in the smuggling of peregrine falcons for the Middle-East market, which resulted in several arrest warrants. An operation devised by Sergeant Kevin Kelly of North Yorkshire Police, which involved the force’s Rural Taskforce, won the Wildlife Crime Operation of the Year. Operation Owl was initiated in response to a persistent and well publicised problem of raptor persecution - a UK national wildlife crime priority. The multi-agency operation focused on prevention, public engagement and awareness. Operation Owl demonstrates North Yorkshire Police’s determination to eradicate raptor persecution, and evidences our willingness to collaborate with key partners when it comes to problem solving. The interest in the awareness campaign from the public has been heartening, and it is testament to the hard work of those involved with the operation that it has been recognised in this way. I congratulate all the award winners for the work they have carried out in protecting our wildlife and the natural environment. On the thirtieth anniversary of these prestigious awards, it is important that we continue to celebrate those dedicated to preventing and investigating wildlife crime here and abroad. We are a nation of animal-lovers and it is right that the UK Government takes this type of crime very seriously. That is why the Home Office and Defra directly fund the National Wildlife Crime Unit to provide intelligence and support for local police forces. Radio 4’s Today programme reported from Hastings this morning on the future of our fishing industry after we leave the EU. 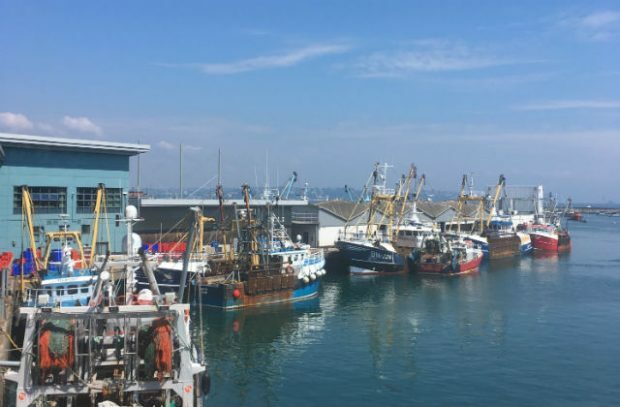 In the report, Andrew Kuyk of the Seafood Industry Alliance said he was concerned about the impact of tariffs on fisheries trade, while fishing campaigner Paul Joy voiced apprehension about the role of fisheries in Brexit negotiations. On leaving the EU, the UK will become an independent coastal state. We will decide who can fish in UK waters and on what terms. Both the EU and the UK have committed to using best endeavours to reach a new fisheries agreement by mid-2020. If a fisheries agreement is not reached, for instance because the EU makes unacceptable demands, we will nonetheless control access to our waters under the terms of the backstop. There is no mutual interest in raising tariffs and exports would not be brought to a halt in a backstop scenario.